If you don't have a username, please sign up. 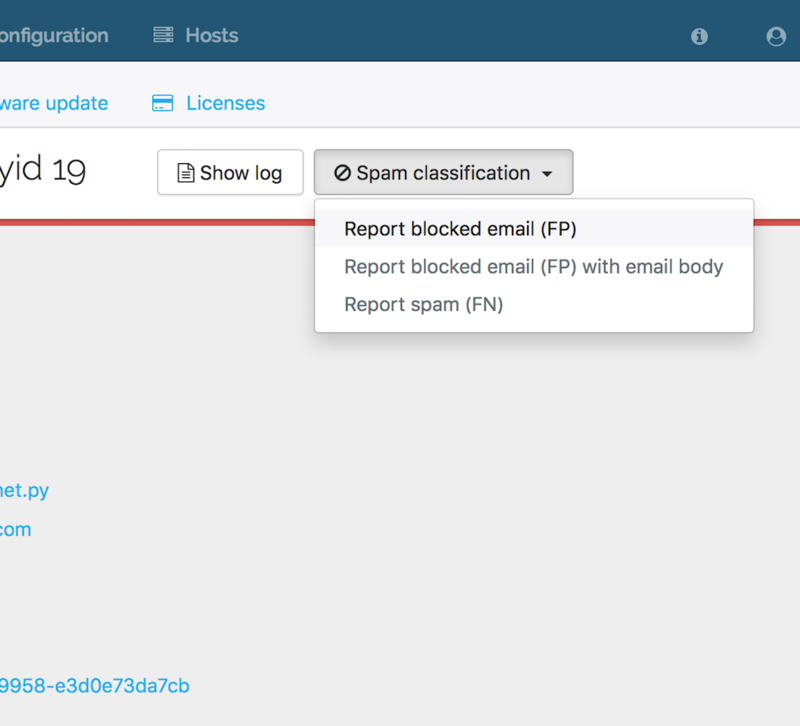 The Halon reporter website can be used to report spam classification mistakes to CYREN. Reports are handled 24/7 in a semi-automatic fashion. If you experience any problems while reporting, please contact support. 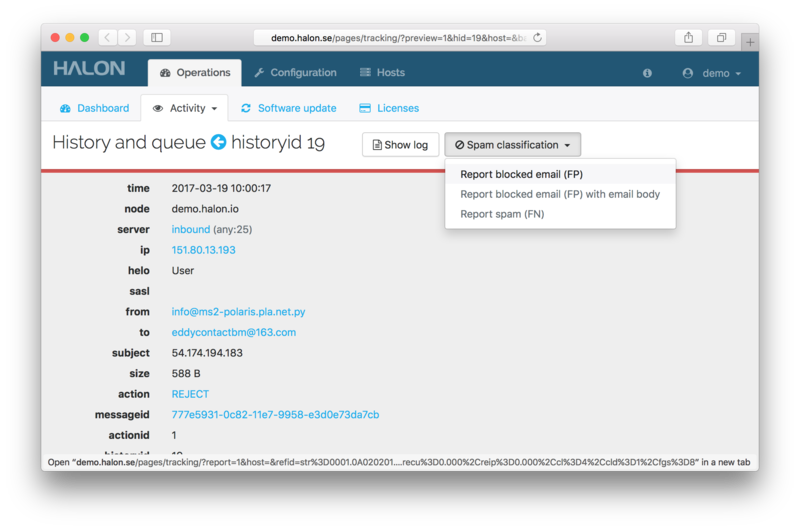 You can post RefIDs and email data directly from a Halon node, using its web interface.